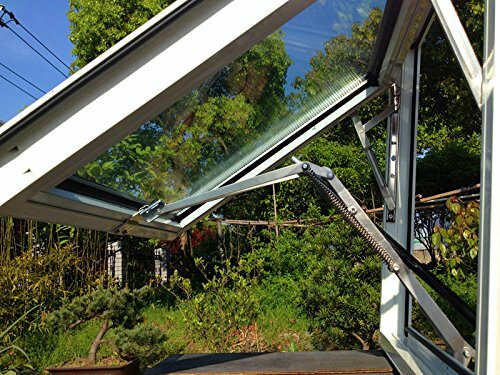 Automatically open and close cold frame lids, greenhouse windows and even skylights throughout the day and maintain a constant interior climate, something impossible to achieve by manual adjustments. Requires no batteries or electricity, it starts opening between 63-75°F, depending on how you have adjusted the vent. Screw directly into polycarbonate panels, wood, or metal frames. Put the cylinder in a cool place at max. 50°F for at least 30 minutes before the assembly.